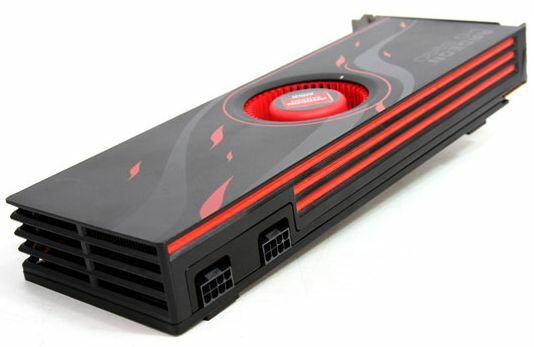 Ecco fatto, AMD has launched the fastest graphics card on the market: the Radeon HD 6990. This power (processing power and above all power consumption) monster is made up of two Cayman GPUs (the GPU of the HD 6970) on a single PCB. 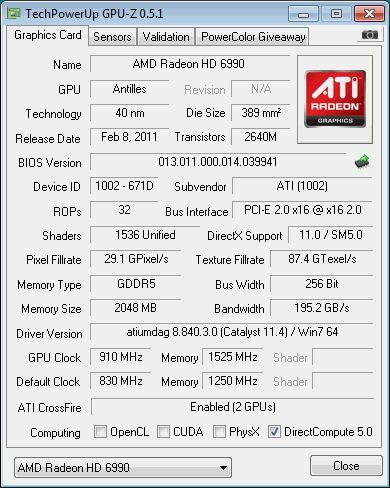 AMD’s Radeon HD 6990 features dual-BIOS capabilities. This feature is controlled by the Unlocking Switch, which toggles between the factory-supported Performance BIOS of 375W (BIOS1), and an Extreme Performance BIOS (BIOS2) that can potentially unlock higher clock speeds and up to 450W of mind-blowing performance. (I computed the power consumption with (P_load – P_idle) * 0.9). 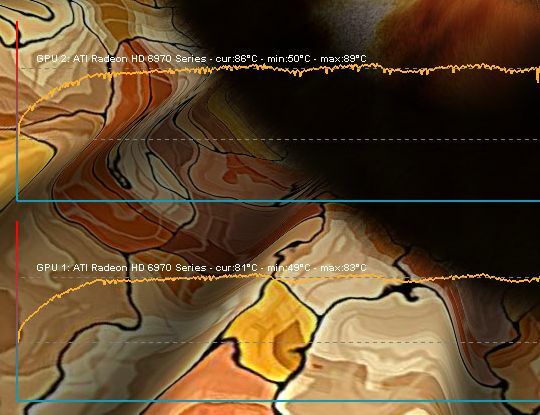 The max GPU temperature is 88°C under Crysis anf 94°C under FurMark. The HD 6990 has a dual-BIOS switch. 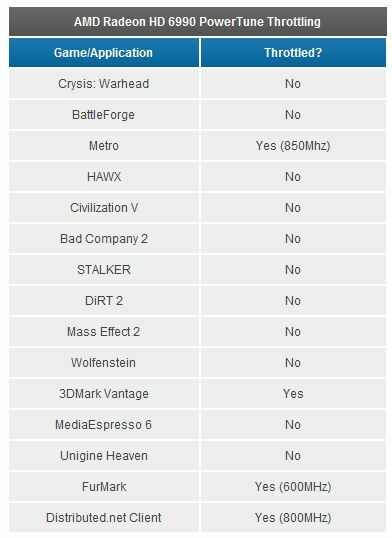 And according to AnandTech, the nice news for overclockers is there is no PowerTune limit on position 1. Then you can reach 500W under FurMark. 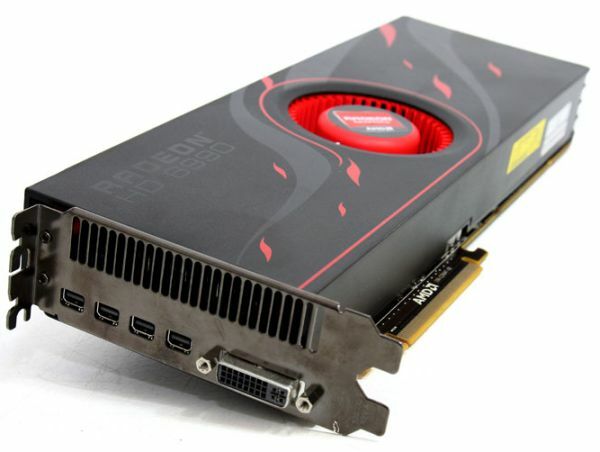 AMD Radeon HD 6990: More New Pictures! I think that PCI Express 3 will need to increase the power draw limits! At this rate we will soon have PCs that need a 3 phase power supply! 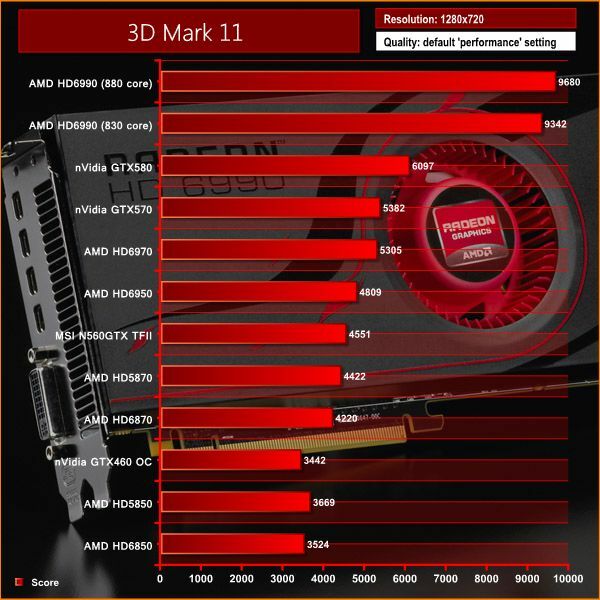 No, nVidia fail over that 100W more on 580SLI that’s all.